The other night, our church hosted a small gathering that was dubbed, “Theology on Tap”. The idea was to head to a pub, somewhere casual and just talk theology. Some points of discussion included the simplicity of God and also the grandness of God or the “Godness of God”, as our pastor quipped. One person remarked that despite the grandness and infiniteness of God, that you, as a finite being, still matter. During the discussion, I was trying to process some points and understand things in terms of geek analogies. I started wondering if God sees the world in full high definition 1080p, and at the bare minimum, with a refresh rate of 60 Hz. At the same time, how each of us is like a single pixel on that globally expansive LED screen. Our job as a pixel is simple; we are called to emit a light. The light you emit can be of various colours and although you may be just a single pixel emitting a certain colour at a certain time, combined with all the other pixels surrounding you, you create this rich tapestry that reflects life. You, as a pixel. However, there are times when you get dead pixels or error pixels. These are pixels that are physically there, but for whatever reason, they don’t emit a light and colour. 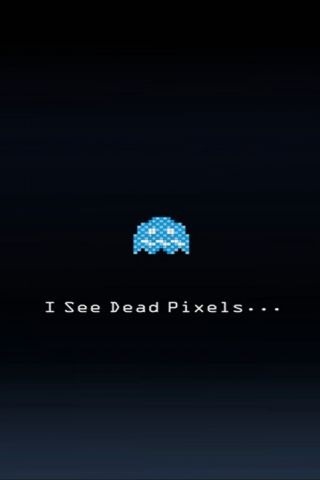 I don’t know if you’ve ever encountered a dead pixel on any of your screens, be it on the TV, computer or phone, but amongst all the millions of pixels that you see, if you get even a single dead pixel, it will stick out to you. You can do all you want to pretend that it’s not there, but pretend all you want, because it’s there, and you notice it. To the viewer, it matters. And of course, you want to get it fixed. So although it may be one pixel amidst a sea of millions of pixels, it still matters. You want it to have colour again. The picture is only full once they all produce light. I wonder if God sees us in some sort of similar way. That when we aren’t shining as bright as we are, that He would notice it and work to fix it. But the analogy only goes so far. I mean, when you get a dead pixel on your electronic device, you can get it repaired or replaced, and the dead pixel has no say in the matter (*spoilers* the pixel doesn’t have a soul). But we do. And we have a relationship too. He may want to fix us and may want us to emit light, but because it’s a relationship, it only works if you want it too. He may want to fix you, but you have to want to be fixed. But it goes a bit further, because before you realize that you ought to be fixed, you have to first understand that you’re broken. It’s not an easy process and I don’t think many will claim it is. After all, it’s difficult for a pixel to see itself. Be patient. Keep listening. Listen to see.